LED Emergency Light Bulb for Power Outages with Remote and Internal Rechargeable Battery: On Showing Beam Pattern In "AC" Mode. 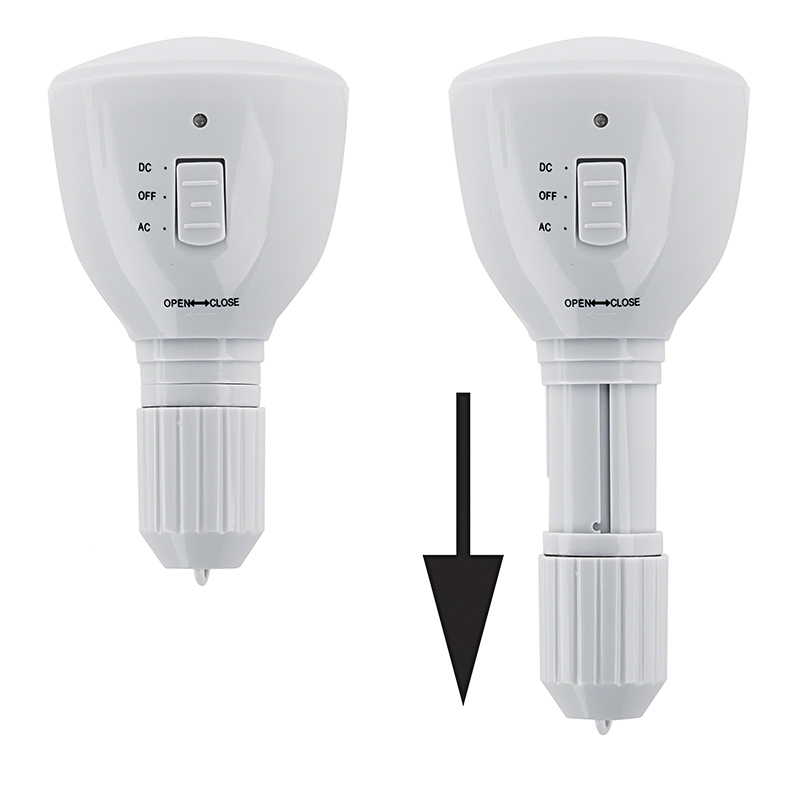 LED Emergency Light Bulb for Power Outages with Remote and Internal Rechargeable Battery: 360° View. LED Emergency Light Bulb for Power Outages with Remote and Internal Rechargeable Battery: Shown On In Emergency Flashlight Mode. 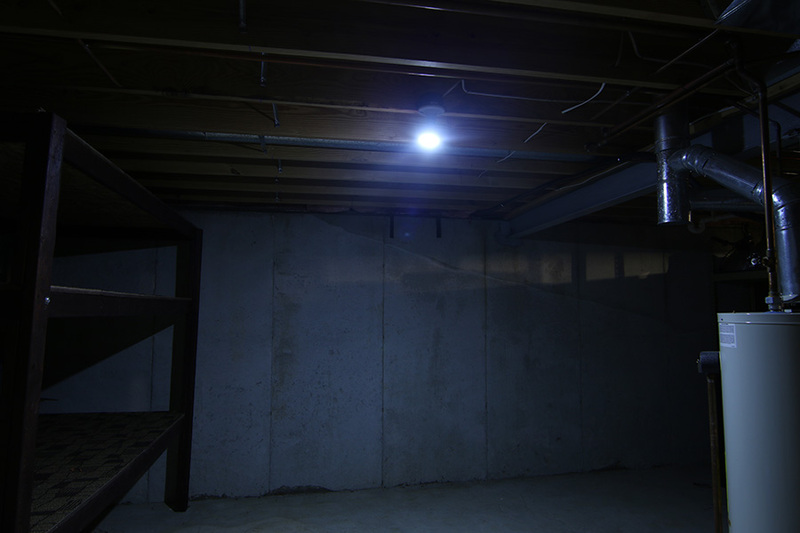 LED Emergency Light Bulb powers on automatically when your power goes out and illuminates key areas, allowing you to see your way to safety. Installs in any standard household medium base socket, in ceiling lights, light fixtures, and bedside lamps. 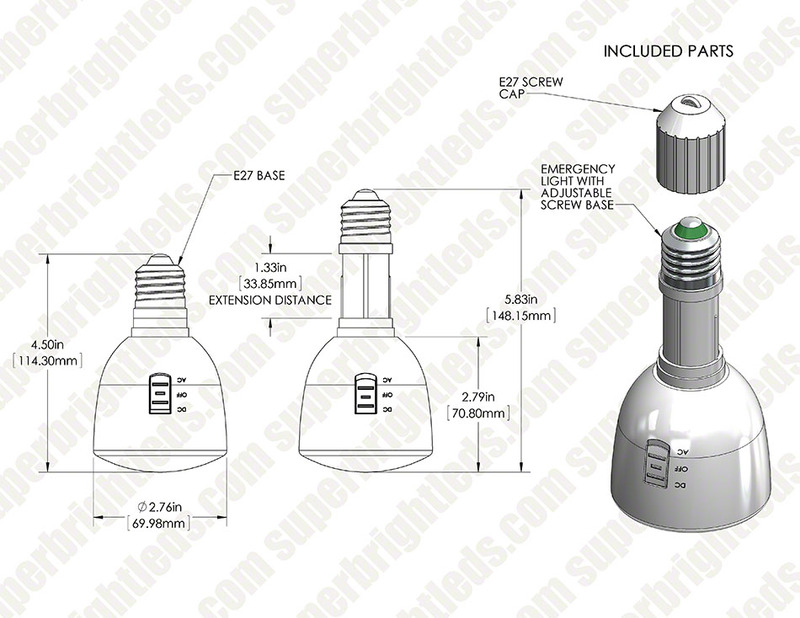 Simply set to desired mode and screw bulb into socket. 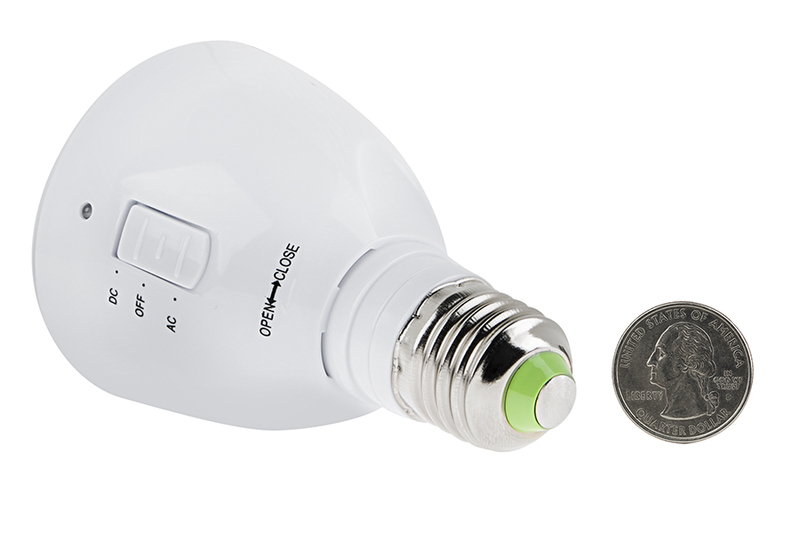 Operates like a normal bulb and turns on and off with any standard light switch. 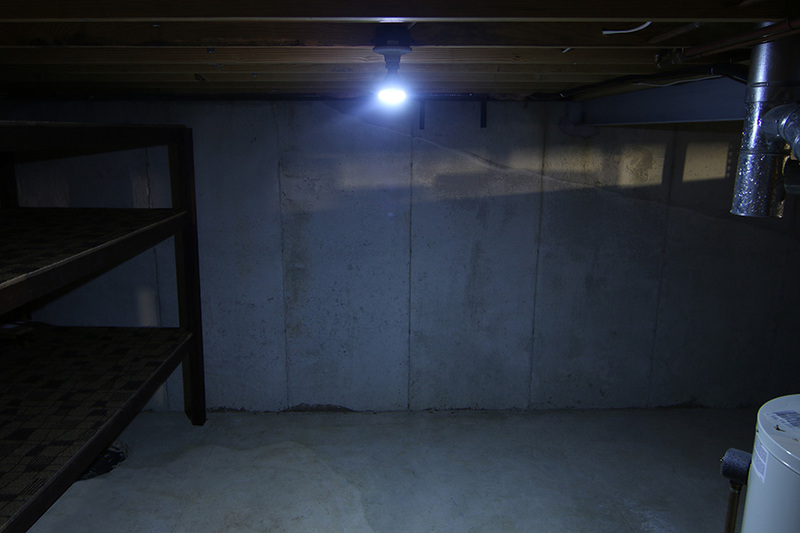 Perfect for basements, hallways, staircases, kitchens, bedrooms, or any room where light is needed during a power failure. 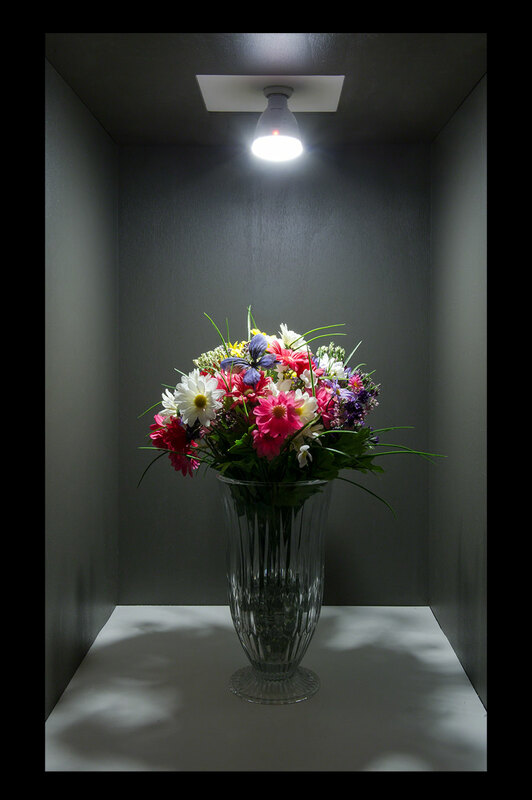 While light fixture is on, the bulb charges itself and will stay illuminated an average of 3 hours without a power source. 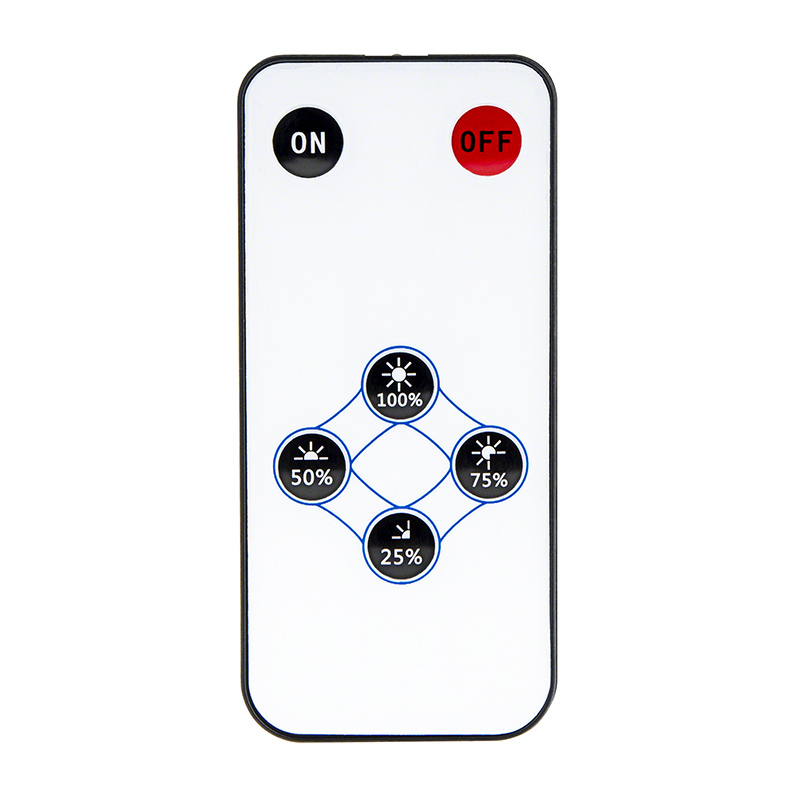 Included remote allows easy additional off/on, dimming modes, and will work with multiple REB-4WE27 bulbs. Unscrew bulb and use to see your way to breaker box. 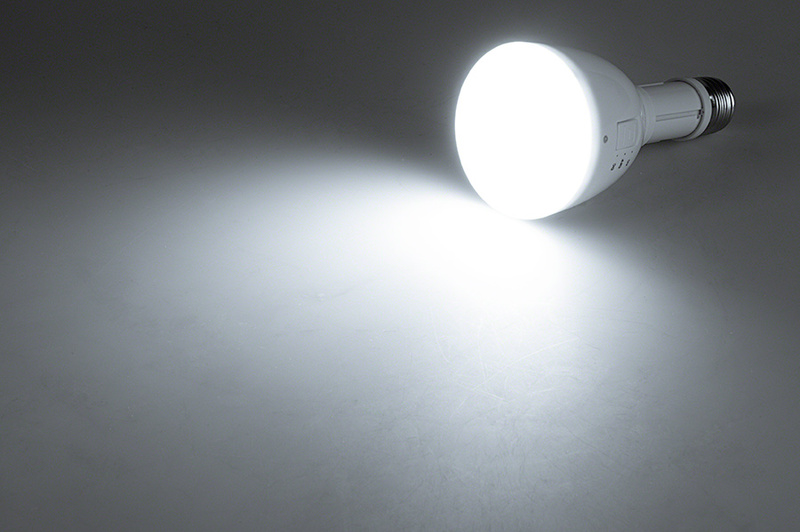 LED Emergency Light Bulb has a 20,000 hour lifetime, 150 lumens, and draws only 5 watts of electricity. 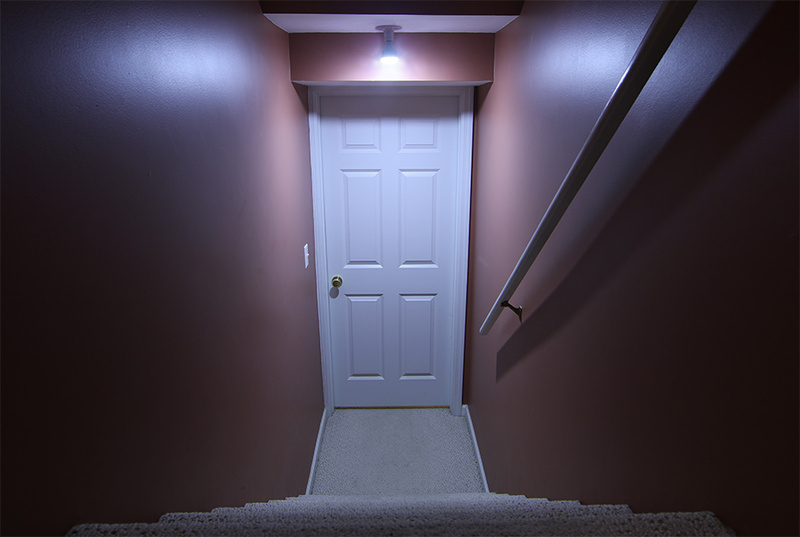 After a recent earthquake and power outage, my wife wanted some kind of emergency lighting for the house. When I found these lights, it seemed to be exactly what we needed: plugs into a standard outlet, charges when the power is on, can be turned on and off by a remote control -- perfect! Well...not exactly. 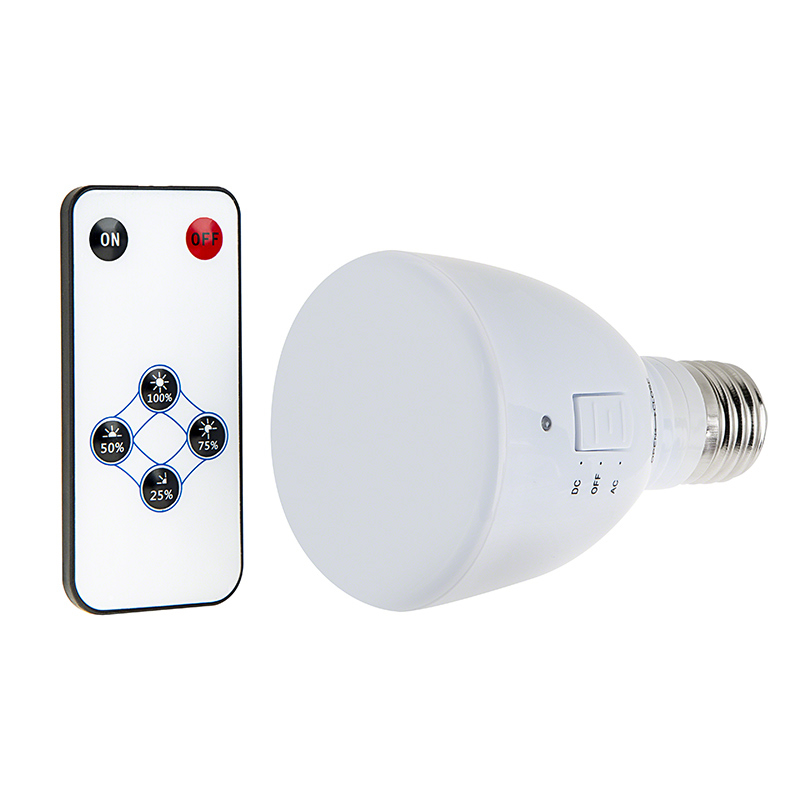 There is a 3-way switch on the bulb to set the bulb to either operate EXACTLY like a standard lightbulb (on when power is on, off when power is off), operate like an emergency light (off when power is on, run on battery when power is off), and always off. There does not seem to be a way to set the bulb to "always on," running on battery when power is off and AC, when power is on, using the remote to turn the bulb on or off. It will still work for our purposes, but we had to dedicate a fixture for this light. It's also not quite as bright as I had hoped (won't replace a 60W bulb), but better than nothing in an emergency. 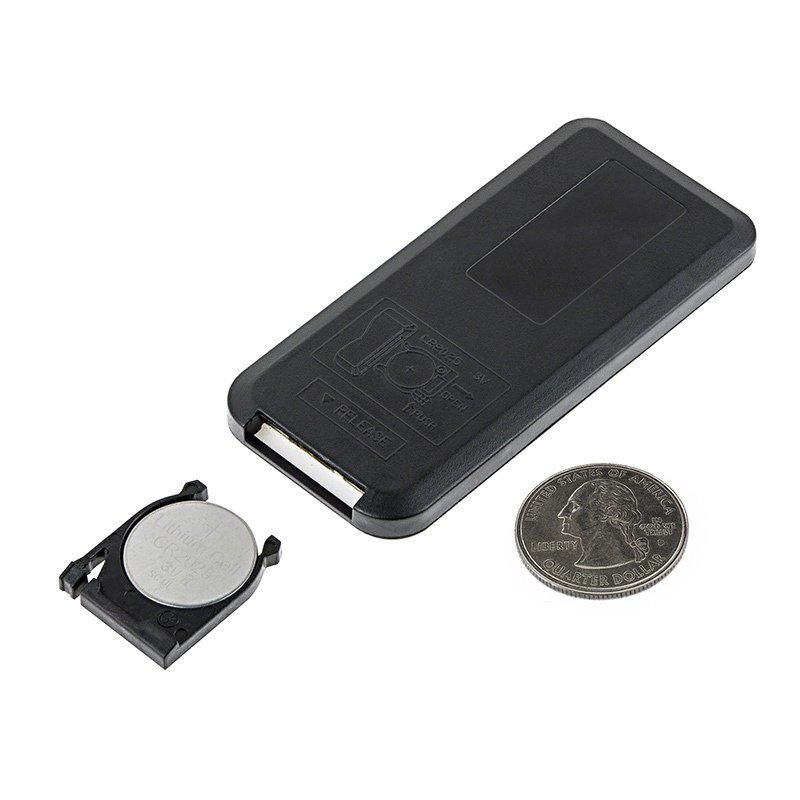 Overall, it's a good product, and I'd recommend it.